Good morning and welcome to the 29th meeting in 2018 of the Culture, Tourism, Europe and External Affairs Committee. I remind members and the public to turn off their mobile phones, and any members who are using electronic devices to access committee papers should ensure that they are turned to silent. I welcome Sandra White MSP and Pauline McNeill MSP to the meeting. As this is Ms McNeill’s first time at the committee, I ask her whether she has any relevant interests to declare. I have no relevant interests to declare. Agenda item 1 is an evidence session with representatives from the Glasgow School of Art. I welcome to the meeting Muriel Gray, chair of the board of governors; Professor Irene McAra-McWilliam, deputy director of innovation; and Liz Davidson, senior project manager, Mackintosh building restoration. I invite Dr Gray to make a short opening statement. Thank you, convener and members of the committee. I do not need to introduce my colleagues, given that the convener has done it so eloquently. I have to thank you all for this opportunity. What you are doing is incredibly useful, as all the questions that you have rightfully been asking run completely in parallel with the audit that you would expect us to be doing. This is a great opportunity to talk about the Glasgow School of Art, our Mackintosh building, our commitment to it and our approach to its management, conservation, restoration and now, of course, the rebuild. I also want to talk about the significant and very important contribution that the Glasgow School of Art and the Mackintosh building make to Glasgow and indeed to Scotland’s national cultural identity and creative impact. We are without doubt experiencing one of the most difficult periods in our school’s proud history, but despite that challenge, we are continuing to meet our responsibilities to our staff, to our students and their educational needs, and to Scotland by delivering on the commitments detailed in our Scottish Further and Higher Education Funding Council outcome agreement. We are fully aware of the disruption to and impact on our local community, and I particularly want to express our deep gratitude to our neighbours—the residents and the businesses—for their long-standing understanding and patience and our continuing dialogue. We are, of course, extremely grateful to the Scottish Fire and Rescue Service, Police Scotland, Historic Environment Scotland and Glasgow City Council for all their professionalism and support. There has always been significant public interest in the Mackintosh building, so it is understandable that people want to know what happened and, just as important, what is going to happen next. The rumours and speculation that were widespread following the fire in June are also totally understandable, given the fire in 2014, and I assure the convener and the committee that no one wants answers more than we do. We know that the 2014 fire was accidental, but, like everybody else, we do not know the cause of the second fire, and speculation about it is not really that helpful to or supportive of the Scottish Fire and Rescue Service’s on-going investigation. However, we took every possible step above and beyond the standard in specifying the contract terms, including fire precautions, for the Mackintosh building restoration project. Far from standing back complacently, we maintained day-to-day supervision of the project works, both on and off site. The tragedy is that just before the fire the contractor was doing an absolutely stunning and beautiful job. The project was on time and on budget, and it would have returned for our staff, our students and, importantly, the people of Glasgow one of the world’s most important buildings, one of the most seminal buildings in which to study art, design and architecture, and a building that everyone can visit and be part of. We recognise the interest and concern of the wider community across Scotland and beyond—and, indeed, the interest of this committee—with regard to what happens next. The board and the staff are completely clear about the importance of the Mackintosh building to the educational experience of our students and its contribution to the global position of Glasgow and to Scotland’s cultural and creative identity, which is so important. As you know, that position has been reinforced by many contributors to the committee’s discussions, which has been very helpful, and Glasgow School of Art is clear about and very strong in its resolve to restore the Mackintosh building to its rightful place at the centre of education and to the city itself as an open and accessible working school of art. I am sure that you can see why, as custodians of the Mackintosh building, we are not apologising for telling you over and over again about that determination and commitment. We think that our written submission, which we hope you all have, is as comprehensive and as detailed as we can make it, and there are a number of accompanying documents. We will be absolutely delighted to answer any questions arising from them, and if you feel that any appendices are missing, we can supply them later on. Thank you very much, Dr Gray. I also thank you for coming here today and for your extensive written submission, which has certainly kept us all busy over the past few days. In our evidence gathering, the committee heard from Alexander Kidd, an independent fire safety expert who chaired the United Kingdom working group on protecting historic buildings. He said that when he visited the art school with Historic Scotland in 1997, comments were made and discussions had about the voids—the ventilation ducts that Charles Rennie Mackintosh had designed. As we know, the fire report in 2014 said that those ventilation ducts and other voids were the reason why the fire accelerated. As I have said, these matters were identified in 1997, and the fire engineering design and risk assessment—or FEDRA—report that the Glasgow School of Art commissioned in 2006 also identified the ducts as a serious hazard, saying that there was “high risk” of fire spreading in the art school. However, despite these issues being raised more than 20 years ago, your architects told us two weeks ago that the ducts still had not been blocked at the time of the 2018 fire. Why was that? With your permission, convener, I will pass that over to Liz Davidson, who is the expert on voids. I have become even more so, I think. I believe that his name is Alexander Stewart Kidd. I am sorry—that is my error. I think that he uses both names. You are quite correct to say that his report talks about the FEDRA report. The ducts—or voids—that he mentions were in the building from the start; they were part of Mackintosh’s system for bringing air into and taking services up through the building. It is not that they were known about only from 1993, 1997 or earlier or later than that—they were always there and were always part of the building. The FEDRA report was effectively our response to a whole series of things to upgrade the building’s fire safety at that point. The initial report was commissioned in 2006 from Buro Happold Engineering; the report that you referred to, which came out in 2008, was the result of that, and it quite clearly points out in its conclusions that pretty well any historic building, and certainly those of the Victorian and Edwardian era, that has services—you will find that much earlier buildings do not have pipes bringing in electricity and so on—is full of cavities, voids and what they call stand-offs. In Alexander Stewart Kidd’s report and his extensive writing for Historic Scotland, he talked about the fact that that is part of how the building operates and breathes. He has talked about how to use those voids in a building to take services and risers through it. Even today, Historic Environment Scotland would approve that practice. “Major intervention into building fabric ... to create compartmentation ... is ... highly unlikely to be authorised”. I assume that you did not want to block the ducts for conservation reasons. That is kind of what the architect, Page\Park, said in relation to 2018. It said that it was a conservation project, and that was another reason why the voids were not firestopped. The FEDRA report was not a conservation project report; it was all about the building’s safety. There was no instruction from Glasgow School of Art to not stop voids. In fact, some voids were stopped after that report and even before it. There were more than 130 ducts, and there were many more voids in the building that we did not even know about until after the fire in 2014, which revealed areas of the building that we did not even know had them. There was no instruction from Glasgow School of Art not to do that. In fact, the instruction was that, as part of a fully engineered fire system, those areas would be stopped, dampered or partially automatically stopped as and when. There are multifarious kinds of voids, but there were two main ones in the building. In 2014, timber risers took services up the building. That is totally common—there will be risers in the Scottish Parliament building and other buildings. Those voids still serve that building. We have stopped some, put dampers through others, and there are automatic closers on others. The building cannot be stopped immediately; that must be done when people put in the work. That happened after 2014, and some of that happened previous to 2014. Some of the redundant voids were already being stopped and others were not known about, but the FEDRA report talked about a fully engineered system. We cannot close up every void, especially the ones that we do not know about, so the school embarked on a mist suppression system among other things, from fundraising. That was put into the building on the eve of the 2014 fire. Sadly, it was not completed. On the fire suppression system, the voids were not stopped because of the cost of the 2014 fire, and they had not been stopped by 2018. To go back to the FEDRA report, you said that you chose a fire suppression system at that time. That was a long time ago. Why did it take so long? The fire suppression system had not been installed by the time of the 2014 fire or the 2018 fire. I am sorry, but I want to go back to something. The voids did not cause the fire in 2014. Yes, but they accelerated it. The Scottish Fire and Rescue Service report was very clear that that was an accident, and the cause was a projector and expanding foam. I suppose that, technically, if that had happened in the middle of the room, we would still have had a fire. We have to be clear. That fire report, which I have read several times, was very clear about the importance of those voids, which had been left unstopped and acted like chimneys. The fact that the fire occurred at the base of a void and one of the risers had not been stopped definitely took the fire vertically up the building instead of horizontally at that point. It moved in a different way. We do not know what caused the fire in 2018, of course, because we have not yet had the report on that. The voids may have had no role in that at all. I think that the question that you asked about the timing was answered in Page\Park’s report. In 2008, the recommendation from experts was to put in a fire suppression system. That was very unusual; most historic and public buildings still do not have any kind of fire suppression system. However, Glasgow School of Art decided to take that step. That was probably unusual among most university campuses in Scotland. First, we had to fundraise. That took something like two and a half years, once we had a system. Then we had to design it and—as you say—get statutory approval from Glasgow City Council’s listed buildings department and Historic Environment Scotland. The tender was let within a month of the listed building consent being approved, and the contractor was onsite shortly after that. In relation to the fundraising, at that time you spent £50 million on campus development, including the new Reid building. People will wonder why you could not afford a fire suppression system immediately after the report came out showing that the building was high risk, when you spent £50 million on the Reid building. That was before our time, so we can only go on the historic facts that we know. The situation was a major concern of the governing body and the management. I believe that we were not eligible for Historic Environment Scotland funding at the time, because that is only for repairs, and it was not necessary. The school was taking a belt-and-braces approach, the fundraising was successful and, as Liz Davidson said, the system was in the process of being fitted before the 2014 fire. The committee knows that the process had been halted temporarily because asbestos had been found in the openings. Yes. You said that it was a very complex system. According to Historic Scotland’s advisory documents, sprinkler systems are quite common in historic buildings, but you ruled out a sprinkler system in favour of a mist suppression system. Why was that? I will answer that and let Liz Davidson back me up. We were not permitted to use a standard sprinkler system because it was a grade A listed building that contained Mackintosh artefacts and things that would have been destroyed by water. The only alternative was a mist suppression system. It was relatively new, but it was the best alternative and it was approved by Historic Environment Scotland as being safe to use. If someone sets it off with a toaster, they will not ruin half the heritage. Who did not give you permission for the sprinkler system? In the original FEDRA report, you ruled out the sprinkler system on the ground of aesthetics, because of the large pipeworks and so on. You favoured the mist suppression system because it is less intrusive—it has smaller nozzles and things like that. That was before you had to ask permission. You had decided on the mist suppression system, which did not have a British Standard at that time. It was untried. I remind the committee that the Glasgow School of Art Mackintosh building was a fully compliant building at the time of the first, accidental, fire in 2014. If it had not already been compliant with every fire-safety regulation in the land, we would not have been able to have students in it. It was not an inherently dangerous building or too dangerous to occupy. It already met every standard and we had fire alarms and fire extinguishers; otherwise, nobody could have gone through the door. As Muriel Gray said, it was a belt-and-braces approach. Actually, not many buildings on university campuses have sprinklers. With the Reid, the Stow, when it comes on stream, and the Mack, when it would have—and will—come back, we will probably have them in about 70 per cent of our estate. I would challenge a survey of estates around Scotland, in academia or any other good historic public buildings, to see them in more than about 5 or 10 per cent of the estate, so GSA has gone way beyond that. I understand your point about the sprinkler system as opposed to mist suppression. The listed building consent is concerned with aesthetics, which is not to make it sound a frippery; LBC is about affecting the character of a listed building. Historic Environment Scotland and our building control and conservation departments would have been concerned about how much damage was being done to the building by taking through large pipes. But you had decided on that system, which was not British Standard approved, at an early stage, before asking for permission. It was not compliant at that time. It says in your report that that was one of its problems and its downsides. It was not compliant, there were not many people who were qualified to install it and it did not have a British Standard. It is a compliant system. It is a kit of parts. As we know from long discussions with makers in Denmark and from factory mutual, British Standards Institution and British Board of Agrément approvals, we had a compliant system, which would have been put in, otherwise we would not have had a building warrant for it. We could not have put in a system that was not compliant. It has possibly around 24—two or three dozen—different types of heads, pipes, valves and pumps. That all has to be put together and it becomes the compliant system. The system that was being put into the Mackintosh was an extraordinarily bespoke system because of the extraordinarily bespoke nature of the building. It was chosen to protect its aesthetics, but also and very importantly—I think that this is in our report—we did not have the water to put in a sprinkler system. A sprinkler system uses a water tank of a size that would have drained down Garnethill. We had it in writing from Scottish Water that we were not allowed to connect to the town mains. As Scottish Water would not allow that connection, we had to provide a tank in the building. The only way to have done that for a sprinkler system would have been to take out almost half of the first floor and put in a swimming pool. Therefore, we had to make it work with the water that we had available. In this scheme, we had to excavate deep into the foundations of the Mackintosh to even achieve a tank that would make a mist suppression system work, and that uses much less water. We did not have the option of using a sprinkler system, because we did not have the water reserve to do so. You ruled out a sprinkler system for the Stow building as well, did you not? No, a sprinkler system is being put into the Stow building as we speak. But you ruled it out initially, did you not? No. I can answer that from the governance point of view. We did not rule it out. We had to examine it, because part of our job as governors is to be fiscally prudent, as well as to look after safety issues. We had a look at what the Stow building would need for compliance. It would have been fully compliant for fire safety without a sprinkler system, but we looked at it, and the extra cost of putting in a sprinkler system came in at about £1.3 million. After some discussion, we decided that we would put one in. Right. However, your board papers say that you changed your minds and decided to put it in after the Grenfell fire. Yes, of course. We had many discussions about it pre-Grenfell, but, after Grenfell, we decided that that would be the safest course forward. It was not a handbrake turn. We have had a number of panels in front of us to talk about Glasgow School of Art and we have also received a number of emails from interested parties. There is a degree of conflict and there are claims and counter-claims on the issue. It is difficult, as part of our job is to determine and make a judgment on some of the factors that were involved in the two fires. Why is the committee hearing different, conflicting versions of what happened? Is there an issue with the culture of the school? On top of that, there is the recent resignation of the director so, from the outside, it appears that GSA is not a particularly happy ship at the moment. Why are we in this situation? I cannot answer that. I think that those are minority views. We have heard the opposite; we have had many emails, letters and personal messages of support. We are collegiate and strong. A number of individuals have voiced their opinions and speculation, but none of that is fact, as you can see from our quite comprehensive submission. I cannot answer your question because I do not know what the issue is or which emails you are referring to. Anything that has been presented as evidence to the committee has been answered in our submission. I cannot comment on personal opinions that are online. GSA is an extremely happy place right now. This is a great opportunity to thank the astonishing staff, management, directorate, students and board for five months of amazing hard work, which they have done together with great courage and comradeship. We are getting a different impression. Is it possible to say a bit more about the resignation of Professor Tom Inns? He has resigned at quite a critical time. We are now in a situation in which people are having to move up to cover that role in temporary positions, so there is a question about leadership at the school at a difficult time. Let me completely reassure the committee that there is not a problem of leadership, because Professor Irene McAra-McWilliam, who is one of our deputy directors, and Professor Ken Neil, who is the other, have stepped up into that post, and they are running the art school beautifully. This Monday, all the students went back into the accommodation that they had been living in before the fire on 15 June. That is all back to running fine. I cannot say very much about Professor Inns’s resignation other than to refer to his public statement and our response to it. We have thanked him very much, because I cannot think of a principal who has had to deal with a tenure as difficult as that of Professor Inns. There have been two major disasters within five years, and he has left us at a time when everything has been put back into place after five months of extremely hard work, for which we are very grateful, and have said so publicly. I have some questions on the fire safety plan. In their evidence to the committee, the contractors said that the fire safety plan was a dynamic and fluid document that was required to be signed off at multiple stages. We have seen some of the reports—in the evidence that you have submitted to the committee—about visits and various other events that happened, staff moving in and out of the building and offices changing. Can you explain how the document was dynamic? Are those the kind of factors that would have changed the document? How involved was the board in oversight of the fire safety plan? The board had a lot of oversight, but the committee will not have seen the minutes from the various committees. The Mackintosh restoration committee reported directly to the board. Liz Davidson and her team were on site, and she can speak a bit more about the visits, in particular. I can 100 per cent assure this committee that visiting the Mack site, which was a construction site, was thoroughly procedurally heavy. People did not get into the Mackintosh without going through the proper procedures. That was ensured by Kier Construction and by the GSA. Would such a factor change the fire safety plan? What factors made the document dynamic? Liz Davidson can answer that. The document needed to be dynamic because, as the committee might recall, after the first fire we lost not only the library but the roof of the entire west side of the building. We had an open-air structure, then a canopied scaffolded roof was put over it. The structure got roofed and, eventually, fire detectors were put underneath the new ceilings. Previously, there had been no ceilings. Those sorts of things meant that the fire plan was reviewed because, at certain points, new fire stops or doors were put in place after a compartment or room was created. The plan needed to move along with that chain of events as the site progressed. Prior to 2014, there had been discussions about the future of the building and whether it was suitable for a working modern art school. Given the cause of the 2014 fire, was it appropriate for that type of creative activity to be happening in such a building? How do you feel about that debate? Do you accept those concerns? On future plans, I know that you are committed to rebuilding the art college. If that happens, will there be consideration of what will take place in the building and how it will operate as a working art school? I am sorry. I do not mean to be rude by interrupting. It might have worked beautifully, but I understand that the cause of the first fire was a student’s work. It might not have been appropriate for that type of work to happen in that type of building. No, it was completely appropriate for that work to happen. The individual who was involved did not follow instructions. Had they done so, that type of work would have been completely appropriate and safe, as it has been for many years. The SFRS report shows that the accident was a perfect storm that involved somebody doing something that they had been instructed several times not to do. The work had nothing to do with it; that kind of work has been going on for years in the art school. In answer to your second point, there is no question but that the building is a working part of the art school. Our remit is to deliver creative education. The Mackintosh building is more than a building; it is a tool of learning for the students who come to our art school. The building cannot be separated from that. An argument has been put forward, and there has been a discussion. There is the role of Historic Environment Scotland. The building is more than an art school; it is a building of significance to the whole of Scotland. Therefore, there are questions about whether the school is the right body to go forward with the project and whether that is the right activity to take place in the building. I accept that you do not share that view. No—I absolutely disagree with the second view. Of course it has to be a working art school, and the art school people are absolutely the right people to be the custodians of it. We have been very useful custodians, and the two cannot be separated. The school will always be part of our academic plan and part of the DNA of Glasgow School of Art. I would like to bring in Professor McAra-McWilliam on that. The school is also a major part of our connecting with the city. The building is not a museum; it is a beautiful, important and iconic building, and one of the reasons why it is so important is that it has been a working art school for such a time. I can testify to that, because I was lucky enough to study in it. A new rebuild will not, of course, have the patina that people such as me built up over the past 100 years but, in another 100 years, when all of us in this room are long gone, it will have its own patina, the building will be the same, and it will have the same effect on the most wonderful, creative and inspirational ideas of the people who are lucky enough to study in it. I do not know whether Professor McAra-McWilliam would like to say something. May I add to that, convener? Briefly, as a number of members have quite a lot of questions. Can Professor McAra-McWilliam say something, because that is quite an important issue? The Mackintosh’s being a learning tool is a major part of what we are discussing. After the 2014 fire, we endeavoured to bring back the Mackintosh in a way that would serve the educational needs of our present and future students. Our intention was to house all first years in that building, so that anybody who came to study at Glasgow School of Art from Glasgow or Scotland, or international students, would be welcomed into the art school in the Mackintosh building, would become extremely proficient in that particular legacy, and would be able to take that with them as a cultural ambassador for Glasgow School of Art and Glasgow when they finished their studies. As we all know, they would be immersed in a building of extremely significant beauty and function. It has been noted in the submissions to the committee that, in the review of our estate, the building was still the most functional building—not only the most aesthetically beautiful—in talking to our creative industries and contributing to the creative economy. It was the most relevant building, and it will remain so. Why would we deny current and future generations of students the ability to have an experience that is so deeply lodged in people’s minds and which is reflected in submissions to the committee? We are educators, and we want high-quality education. That is what we are about, and that is why we want to bring back the Mackintosh for the very specific function that Charles Rennie Mackintosh designed it for. I want to return to the convener’s questions about the fire suppression system. I completely understand how immensely complex it is to install a fire suppression system in such a building, but I am a bit concerned about the financial decisions that were taken and the need to fundraise for that. For example, will you explain why the SFC museums grant, which was around 200 grand a year at that point, could not be put towards that? There was a lottery grant for conservation in 2008. Why were other funds that the school was already receiving not put into funding a fire suppression system as a matter of priority? It seems that the delay that was required to raise additional funds created a delay that, unfortunately, led to the fire, as the suppression system was not ready. For a start, I do not accept the premise of the question that it was the delay that led to the fire. That is incorrect. No. The delay did not lead to the fire, but it is clear that, if the fire suppression system had been in place, the fire would not have been the fire that it was. It would have been in place if we had not uncovered the asbestos. Therefore, your timing is slightly wrong. No. To be clear, at the point at which you decided that the fire suppression system was needed, you had to embark on a fundraising campaign for it. If, instead, you had allocated funds that you were already receiving, you would not have had to spend a couple of years on fundraising, you could have begun installing that system immediately, you would have discovered the asbestos two years before you did, the fire suppression system would have been installed two years before the fire took place and, in theory, when the fire took place the system would have suppressed it. Why were funds that you were already receiving not prioritised for the suppression system? I am not able to answer that, because I was not in office at that time. However, from what we have read in the minutes and everything, there seemed to be a very cohesive and sensible approach to it—that is all I can say. It was economics. The building was completely safe, as Liz Davidson pointed out. The previous administration took a belt-and-braces approach, putting in the system to further ensure an absolutely top-notch, five-star and gold-star standard of fire protection, but the building was already safe. You are correct that funding applications had been made to HLF, the European regional development fund, Historic Scotland—as it was at the time—and others, but that was for a conservation and access project. I am sure that most members will know that when you apply to any funding body, particularly in the public sector, you cannot then say, “Thanks for the money. We are going to spend it on something else”, even for something that you feel may be more important than the project for which you asked for the money. Historic Environment Scotland was approached. It has been an amazing partner throughout the Mackintosh conservation projects, funding them for three decades. However, as I understand it, its money is laid down by statute to be put into the repair and conservation of buildings, so it would not legally have been able to switch money from that into installing mist suppression systems. By dint of its remit, it will repair but not add to a building. The word here is “enhancement”; a fire suppression system would have been an enhancement to the building, rather than a necessity. I presume that that is why the administration at the time had to fundraise. I am still not completely clear about that, particularly in the case of the SFC regular museums grant. As you were not in post at the time, I accept that it is a difficult question for you to answer at the moment. In that case, the committee would be glad to receive a written response in the near future. Your board papers from before the 2018 fire refer to a dispute with the insurers over the fire suppression system. Can you give the committee some detail on that dispute? I am not sure what you are referring to, Mr Greer. Can you be more specific? The papers for a board meeting before the fire mention some kind of dispute or issue between you and the insurers regarding the fire suppression system, but not in any detail, which is why we are interested in the matter. I am casting far back into my board minutes. The whole process has been followed incredibly closely by our insurers, to say the least, particularly since 2014. The school had more than one insurer. The main one was Royal & Sun Alliance, which behaved wonderfully after the first fire, but we also had another insurer, AXA, for contents. We maintained the archive of Glasgow School of Art within the Mackintosh building, and that required a different kind of suppression system. Mist suppression still involves water. In a lot of museums, the National Library of Scotland—I think—and other places that have areas where water is seen to be a bigger risk than fire, which is mainly where there is paper, a hypoxic system, which takes the oxygen out of the area, would normally be used. There was a discussion between the two insurers and their specialist advisers about whether we should go for an entirely wet system with a mist, or a system that zoned the building. In the end, we decided to go with an entirely low-pressure mist suppression system, but it was worth hearing that advice and taking it back to our learning and teaching people to find out what would be the best system. Was that what the insurer was questioning this year—the decisions that were made about the particular suppression system to be used? I do not know about the paper from after the 2018 fire. Is that what you are referring to? Yes. The dispute is from before the 2018 fire, but it is mentioned in board papers from this year. I understand what you are saying about the discussions about which suppression system to use, but my question still stands. What was raising concern for the insurers? Dispute might be the wrong word for it, although I think it might be the word that is used in the minute. I do not think that there was any dispute with our insurers. The process has been very amicable so far. As Liz Davidson pointed out, there have been discussions about the how, the what and the where, but I do not recall any dispute whatsoever with our insurers. We will check those papers and provide a written response. If you could be specific about the particular papers to which you are referring, we will get back to you. I will cite the particular minutes. It would help to see the board papers from October 2017. The committee noted the latest risk register, and we noticed that the risk of programme delay resulting from uncertainty and confirmation of the fire suppression system had receded, given the progress that had been made in discussions with the contractor and the insurer. A lot of people would be quite surprised that you had settled the disagreement with the insurer only in September 2017, which was well over a year after Kier was awarded the contract. There was not a disagreement; there was an on-going discussion. Our audit of our risk registers is very thorough. It was merely the conclusion of those discussions—there was no dispute. To help me to understand this properly, I will ask a couple of supplementary questions to Ross Greer’s first line of questioning. After the first fire, it was known that the building was vulnerable to fire—is it fair to say that? Any building is vulnerable to fire. We were aware of that just as any other institution would be. We all live in different buildings. Did you assess that particular building to have a greater vulnerability to fire because of the voids and the issues that the convener asked about at the start of the meeting? Yes, we learned the lessons from the first fire. We knew absolutely everything about the building, which, in previous years, we had not known. It was a real forensic exercise. That is entirely fair. This is why I was interested in Ross Greer’s line of questioning. Should building a mist fire suppression system not have been the first thing to be done in the reconstruction? I acknowledge that you were not there at the time, but should that not have been absolutely the first thing to be done? Do you mean between the 2014 and 2018 fires? Therefore poor old Liz needs to answer the question. Yes—we need to go back to the expert who ran the project. The issue has come up in a very interesting way. It will have repercussions beyond the Mackintosh building and, indeed, beyond Scotland to construction sites more generally. Mr Kidd’s submission, in particular, talks about the temporary or early commissioning of a fire suppression system in a building. We had experts on our panel, and our fire engineers were from Atelier Ten. The commissioning of a mist suppression system would have been done as soon as it was there. I accept the question, because I have been asked it many times since the fire. I am at pains to say to everybody that a system cannot be commissioned until it is there. The very first thing to do was to agree a design. We had a different building altogether after the 2014 fire—we did not have roofs in some areas. After the fire, we were able to see voids where we did not know they had existed. Putting in place the suppression system would have been the first thing to be done in terms of building management. Forgive my ignorance, but that did not happen. It still took two more years. The tank was on site, the excavation had been completed and the pumps were on site. The pipework was probably 60 per cent completed. The installation of the pipework needs to follow the construction phase. I know that this is all in hindsight, but your engineers did not think that anything more could be done to build in the system as early in the process as possible. The system was being built as the process went along. The guys who were working on the suppression system quite often worked after the main trades had finished; they could not work on the same platforms as the painters and plasterers. As soon as a room was finished, the suppression system followed behind. Quite often, we would come in on a Monday morning and that would have happened over the weekend, because those guys would have come in when the wet trades or dust trades had finished. They moved very closely behind that work and Kier managed it tightly. There was a big team that moved as quickly as it could through the building so that, as soon as a room or floor was finished or the compartmentation was in place, the mist suppression system came in behind it. However, it is a large site. A mist suppression system can be put into a room—that would have been fine—but we had to fit out 7,500 square feet of space and it was a very complex system. In that case, I do not understand the problem with money. Ross Greer’s questions were about why there was a delay in putting in the system. His line of questioning was that you could have spent money earlier and not bothered about where exactly the money was coming from. However, you are arguing that the system went in from day 1 as the building was reconstructed. Sorry—I might have misinterpreted the question on money. The difference is that we genuinely had to fundraise pre-2014, although, on paper, it looked as though we had four years from somebody recommending a mist suppression system and the FEDRA report to installing—or, rather, not quite finishing the installation of—the system in 2014. After 2014, we were working on the proceeds of the insurance claim, which were coming through, and additional funds that we received from the Scottish and UK Governments. One of the absolute keystones of the brief that went out to the contractor in 2014 was that a mist suppression system—a fully engineered fire system—was to be put into the building at the earliest possible point and commissioned as early as possible, which is what the joint code of practice recommends. Is the Fire and Rescue Service looking into that? Will it be part of its assessment of what happened? It has not long since taken access, but it will look at that. I want to switch to the losses to the collection. In evidence, Roger Billcliffe and Stuart Robertson, who is the director of the Charles Rennie Mackintosh Society, said that the GSA failed to be open about the losses in the 2014 fire and that your media release and blog focused on what had been saved and only some, rather than the full extent, of the losses. Is there a comprehensive and publicly accessible list of the losses? Yes, there is a list and it was available at that time. It is completely accessible, online and in the public domain. We have been told that staff have said privately that they were prohibited from speaking about the full extent of the losses. Is that the case? So, everything has been detailed. What was the insurance pay-out for the lost items and, as some of the items are completely irreplaceable, how will that money be spent? Yes, they are completely irreplaceable and priceless. There were two separate insurance schemes at that time; one was for the building and the other was for the contents. We are part of a working museum and retain important objects, and we also acquire objects, so we need a fund for acquisitions as well as for protection and conservation. That money was ring fenced for that purpose. We have had to carefully examine that, and we are by no means at the end of that process, because the Mackintosh rebuild has been interrupted. There is nothing to hide: that information is all in the public domain, as is the budget for that. If you are not clear about the appendices, I can easily provide you with that information. Is there an easy link to that? It is bizarre that people—including the director of the Mackintosh society—are telling us that they cannot access the list of what has been lost, yet you are saying that it is completely open. It would be good to find out where it is. I will add to that. The index was published and, according to the details that I have, it went online in 2014. It was certainly released to the media in 2015, because we had to detail the impact of the fire across our archives and collections. Following that—to return to Kenneth Gibson’s question—we provided Museums Galleries Scotland with the detail of the collection’s losses so that it could review whether the Mackintosh collection should retain its recognised status. It confirmed that it should. That information has all gone online and the items are detailed on the website. We published it in full and it was reported in the media. Thank you. Is there a timescale in which you are aiming to have any items replaced? We have not yet addressed that issue. Obviously, it is on our to-do list, but we are in a state of flux just now and have other priorities. We will publish that timescale as soon as we know it. Nothing is private or being kept from you. We make everything that we know available—it is our remit to do that. If anything is missing, we will be really happy to provide a paper to back that up. We continue to acquire for our collection, of course, and we are particularly keen to acquire the brilliant work of our own graduates who show their contemporary work. I have acquired one or two pieces from the Newbery medal winner Erin McQuarrie, who is a recent graduate of ours—as it happens, her graduation ceremony was on 15 June. Her brilliant work will be part of our archives and collections. That is the kind of thing that we will keep doing. Good morning to the representatives of Glasgow School of Art. Thank you for coming to the meeting. You have talked about reconstruction. I know that other members will want to focus on the future, but I presume that reconstruction depends on the existing buildings insurance policy paying out. Will you make a copy of that insurance policy available to the committee? I note that you want to be open. I think that that is perfectly possible. Again, it is publicly funded. That is great. Who is the current buildings insurance policy with? You mentioned a previous insurer. I am not sure whether that is the same one. It is not. The policy is with Lloyd’s, in effect. Travelers Syndicate 5000 is the name of the company. I asked questions about the insurance policy when we had Kier and others here. Before we had our meeting with Kier, it was suggested to us that, after a catastrophic fire, we should expect a renewed insurance policy not simply to reflect statutory minimum compliance conditions but to have add-on conditions. Does your current buildings insurance policy have add-on conditions and go beyond the minimum statutory requirements? Can you be more specific about the add-ons that you mean? I am asking you—I do not know what they are, as I have not seen the policy. We have not managed to get a copy of it yet, so I am at a bit of a disadvantage. I understand that, in normal situations in which a contractor goes on site, the insurance policy must have statutory minimum requirements. However, one would have thought that, after a catastrophic fire, there may well have been consideration of supplementary add-on requirements being part of the package, whereby you would show that you were using all your good offices to ensure that things were progressing in a reasonable fashion. That is very much the case. I would not say that there were add-ons, but the insurance policy that we put in place was robust. I think that Liz Davidson negotiated with Kier on the compliance when we handed the contract over, and that negotiation would have included what was in the insurance document. I would be very happy to provide that policy. I am sorry that you have not asked for it before. That is no problem at all. That is great and really helpful. We will look forward to receiving that policy. On what may or may not be the requirements in the insurance policy, I note from various documents that you seem to have arranged various visits after the first catastrophic fire and before the second one. A whole host of people were potentially milling about the site at organised events and on individual visits. Will you clarify exactly what was going on? I asked Kier specifically about who was on site. Obviously, its workforce was on site, and there were specialist conservators and craftsmen, but Kier was at pains to stress that there were only a very few of those and that they were subject to very stringent risk assessments and appropriate procedures. In fact, Kier had to authorise those people being on site. What about all the other visitors who were in on the act? Who was in charge of them? Who supervised that activity? I am delighted to answer that question, because the speculation in the press has been very skewed, wrong and incorrect. For a start, nobody was “milling about”. The interest in the Mackintosh building has been enormous, and it was very important to our connection with the local community, the wider artistic community and everybody else who was interested that, when we were only months away from opening an absolute jewel, people had access to it during the rebuilding process—which, in itself, was interesting and part of many research projects. Again, I will hand over to poor Liz Davidson, who will explain the protocols for all those visits, which were very stringent. I can tell you that because I visited as a member of the Glasgow School of Art choir, which sang in the library to raise money. That was the first time that I had had to sing soprano in a hard hat, high-visibility clothing and boots, which is my excuse for being off key. Nobody at all was allowed on site who had not gone through a thorough vetting and induction procedure. The photographs in the press showed people who had been through that process and were in a safe area, where they were permitted to take off their hard hats. We followed the protocols to the rule. Liz Davidson can talk you through them. I presume that there was a register of all the visits. The register covered every person who was on site. On the day of the second catastrophic fire, who was milling around? Who was on site on that day? Did any groups, individuals, schoolchildren or art appreciators visit? I take issue with the phrase “milling around”. There was no milling around on a construction site of such importance. As you said, everybody was documented and all the visits were logged. On the day of the second catastrophic fire, did somebody visit? That was the day of graduations; you would have to ask Kier about visits. We were all at the Bute hall, so the GSA had no visits organised on that day. Kier could tell you whether any technical visits were made on that day. The day of the fire was a Friday, when a lot of contractors stop work early—probably at 2 or 3 o’clock. No visits took place on that day or in that week. It was one of the rare occasions—which is why we remember it—when we told a group that it could not go round the building. That was on the Tuesday. The group happened to be from the Charles Rennie Mackintosh Society, and it thought that it was to go in until it arrived in the Reid building, where we assembled people. We had spoken to the contractor, which said that too much was going on that day. The society wanted to go into the library, but we could not let it into that part of the building, because too much was going on physically. Instead, my colleague Sarah MacKinnon gave a virtual tour. At 4 o’clock on the Tuesday, she videoed the entire building and then, in a lecture theatre, we demonstrated what was happening on site in the rebuilding. That was the last public visit. It is correct to say that we had more than 100 visits; in fact, we probably had far more. Some were from institutions and others were from building control and Historic Environment Scotland, for example. There were also lectures and occasional events. Before Kier was appointed, we wrote into the tender the commitment that we would demystify construction, bring people into the industry, talk about the traditional skills and spread awareness of this extraordinary building. In furtherance of the Scottish Government’s procurement approach, we wanted that to be in the process. Under the public contracts Scotland process, we wanted to engage through a community benefit clause with the local community, the wider community and the educated and interested community. We had visitors from America, Japan and across the road. When it was safe to have visits, a strict protocol applied, which included using personal protective equipment and following standards. That is duly noted. I presume that all the events, visits and so forth totally complied with the conditions of the insurance policy and in no way vitiated it. Is that information not true? It is true that we were allowed to use the toilets—I am not being flippant. No. People brought in bacon rolls. There were no cooking facilities on site. Only one of the catered events had to have food—it was cold food—and all the caterers had to be inducted. It has been helpful to clarify that there was a microwave on site. You talk about having a robust fire alarm system. The Fire and Rescue Service has told us that dozens of false alarms took place in the run-up to the blaze in June. There were an average of three a week in February, March, April and May, but there were none in the three weeks prior to the fire in June. There was no indication from neighbours that fire alarms were heard in the area on the night of the fire. To your knowledge, was the fire alarm ever disabled, dismantled or switched off? It would be turned off for hot works, which would be logged. If you are working in a compartmentalised construction site, that is standard practice. Sorry—Liz Davidson is the expert on this. As for the fire alarm not going off that day, we have no knowledge—no one will until the SFRS finishes its inquiry. On average, there were three false alarms a week. Do you mean in the Mackintosh or across the whole estate? There were a few, but that usually means that the system is working. As you said, we occupied the building until January 2018. There was a weekly site test of the fire alarm, although it was not an evacuation test, and there were irregular tests in which the whole building had to be evacuated. There was certainly accidental tripping of the alarm. For example, on one occasion the plasterers went into an area and did not inform the site agent, and dust got into one of the detectors that had not been capped or switched off. Not all construction sites have a hard-wired detection system, but in those that do it is implicit that the alarm has to be covered so that false activations are not caused, because that is obviously troublesome to the Fire and Rescue Service. If possible, it was found out in advance if such works were going ahead. Once or twice, that did not happen, and I remember being evacuated from the building. I want to ask about investigations after the fire. It was reported on 5 November that the fire investigators were given access to the Mackintosh building four months after the fire struck in June. Your submission says that there were a number of site controllers in the intervening period. Who was ultimately responsible for authorising fire investigators to access the building? Scottish Fire and Rescue has been with us from the start. It had the site for the first week. After that, it fell within Glasgow City Council’s safety cordon for the whole area. We had meetings with the SFRS weekly at first, off site, and latterly monthly. We have been in almost weekly contact with it. It takes the decision about when it is safe for it to go on to the site. Our role as owner of the building was to bring in a contractor, Reigart Contracts, which has been steadily making the building safer. Scottish Fire and Rescue visited on a few occasions before the date that it took access, but it carries out its own risk assessment of when it is safe for it to go on to the site. After we demonstrated that a particular area that it wanted to access first was safe, our contractor was asked to make that area even safer by clearing a way through up to a certain point. Scottish Fire and Rescue and Police Scotland went in at that point, but only after their health and safety advisers had said that it was okay under their health and safety regulations. Dr Gray said earlier that the GSA took every possible step in relation to the protection of the building and maintained day-to-day job oversight of it. The committee has received evidence that the insulation that was used was flammable. Why was combustible insulation chosen over non-combustible products in such a high-risk building? The big flat roofs in the Mackintosh building—the ones that fall over the main studios—were being insulated. At the outset, before Kier was appointed, we had a responsibility in the tender to achieve the highest possible level of sustainability and energy efficiency within the constraints applying to an A-listed building. That involved the installation of a range of measures such as LED lighting and single slimline glazing on the studio windows. With regard to the roofs, we decided not to alter their appearance or profile but to install rigid board insulation. We used polyisocyanurate insulation, which is perfectly legal and safe when used in accordance with the manufacturer’s instructions. It is still on sale and I think it is the best-selling insulation for flat-roof construction. If you go to any roofing contractor or technical advice note produced by Historic Environment Scotland or Historic England, they will say that you should use rigid board insulation on a flat roof. Different types of insulation would be recommended in other areas but, when you have a flat roof, you have to ensure that you can inspect it, which means that you have to have insulation in the form of a solid board—you cannot put in the kind of insulation that you would use in your loft. We used rock wool or mineral wool in other areas and we used other measures in other circumstances but, with the flat roofs, there is a rigid deck and you have to use a rigid material. That means that we had to use a PIR or rigid board insulation system. I would have thought that, after the first fire, any restoration works should have sought ways to ensure that any of the materials that were to be used would be the best possible ones, particularly regarding the issue of flammability. Yes, but I am asking specifically about insulation. We used a range of measures for insulation. We used mineral wool in upstands and cavities. However, rigid board insulation is the specified material for flat roofs. There is nothing illegal about the use of this material. You have to follow the manufacturer’s instructions, which involve not allowing oxygen into the space. The space has to be encapsulated. In our case, we had an inverted deck roof with an asphalt felt roof on top of it, which is in line with the original detailing by Mackintosh. That is a perfectly safe way to use that material. I have a question regarding some evidence that we received a couple of weeks ago. We were told that, at the time, the principal contractor retained possession of the site. Is that correct? Who retained possession of the rooms that you used on the site? As part of the contract, the entire site is in the possession of Kier. We were there by its leave, I guess. If you were using those rooms, how could it be in full possession of the site? How could it guarantee that the rooms that were being used were being used in ways that conformed with the highest possible standards, particularly with regard to fire safety? We were subject to the same rules that anybody on the site was. We did not have to sign in every day, but we had to have a construction skills certification scheme card to get access to the site. My entire team had that certification. Kier was keen to ensure that we had that, and we were inducted like anybody else. We had to sign in if we went beyond that point in the site. Having the rooms that we used was like having a portakabin within the Heras fence of a larger site. We were subject to exactly the same rules as anybody else. Any equipment in the rooms had to be subject to a portable appliance test and so on. We were subject to the same control regime that Kier would have applied to anybody else on the site. That is helpful. Thank you. Good morning. It is clear that there is a lot of passion for the school of art among the members of the panel. That leads me to look ahead. We have spent a lot of time thinking about the what ifs and the maybes. That is relevant, and there are due processes that will have to be followed, but it is also important that we have an open and frank conversation about what happens next, in the interests of Glasgow and the community. I would like to know the panel’s views about that. “It should be left as a ruin. Architectural ruins are among the most emotive objects in the world”. “I see no argument for why you wouldn’t rebuild the school of art as it was”. However, other people have said that we cannot rebuild the Mack because that would not bring back an historic building but would give us something else entirely. What are the personal views of those on the panel today? What will be the process for deciding what happens? In 2015, I was asked to set up a project that would decide what would be happening in 2019 when we reopened the Mack. In the project proposal, which is entitled “Transformation design for the future”, I said that the Glasgow School of Art’s Mackintosh building is in the heart of the campus and the heart of the city of Glasgow. That was intended to make a clear statement that we are Glasgow’s art school—of course, we are known as just “the art school” in Glasgow. I also set out our intention that the past would be revealed, restored and intensified and that we would host a new form of creative practice that integrates, expands and makes public the work of the school. We would have been doing that now if the Mackintosh had been able to open in 2019 with our first year experience, as we had planned. We have had discussions about the future. After the fire, I gathered together a group of staff and we started thinking about what might happen. The remit and the intent remain the same. Where we would expand our approach is in relation to the fact that we want to be much more collaborative with the local community, the communities of Glasgow and all the projects on which we already work. For example, our school of simulation and visualisation is looking at digital tools for schoolchildren, we do exchange projects and fine art work with Cuba, we work with the Garnethill community and so on—the list is endless. We do a lot of live projects because that is the best way for students to learn about civic matters and industry, which, incidentally, helps them to set up their own businesses in Glasgow. We are in discussion with our partners about how we can establish a set of engagements so that we can shape that future collectively. We are not saying that the future will be X, Y or Z. However, collectively, we can do our best for the art school and the city of Glasgow. The chair can attest to the fact that some of those discussions have already started. Yes—absolutely. I am happy that you raised the issue of the future, Mr Greene, because that is what we are looking to just now. You asked for our personal views but, as you know, the unanimous formal view of the board and the management is that we are bringing back the Mackintosh as a working art school, as it has always been. My personal view could not be stronger, because I am lucky enough to be a graduate who worked in the building, and I do not think that I could sleep at night if I was on watch when that ladder was pulled up behind me as a consequence of a decision that the Mackintosh building was not coming back. That would deny future generations the privilege that I took for granted at the time but which has changed my life out of all recognition, and which is why I agreed to do this job. Looking to the future is the most exciting thing that I can think of at the moment. We are in close consultation with Glasgow City Council and the community about how we can have a front for the Glasgow School of Art on Sauchiehall Street and how we can spread out into the city and include everybody. People who know that we are there know that we are there, but not everybody who comes to the city knows that we are there. We are putting together a big estate strategy plan now that we have stabilised the school’s academic teaching for the next term. We will share that plan with everybody and invite everybody in for consultation on it, because we recognise that we are a major part of the creative industries, which are essential to the economic health of Glasgow and Scotland. It is essential to us that we bring back the Mackintosh building as a working art school and pass on that gift. The committee has probably heard enough from me, so I will be brief. From working on the building over the past four years, we know that Mackintosh designed an art school; he did not design a museum. I am sure that he would have done that, as any other struggling architect would have done, if he had been given the money at the time to do the job that was asked for. He designed an art school that has worked brilliantly for 115 years. We have a museum: the Scotland Street school museum. We are going to be part of an amazing regeneration initiative by the city. I am not going to pretend that I have had extensive discussions with every single person in that incredible part of Glasgow, which is filled with ex-students and people who teach or work in the school or who now live in the area, but the people to whom I have spoken want to have the building back as an art school and to work for it. We cannot really find a silver lining in what has happened on the site. The only thing that we can say is that it will be a major project for Glasgow. We know from the 2014 fire that we have the skills in this country. We had to go a bit further afield on one or two occasions, but we do not want that to happen in the next phase. We want to bring back the work to Scotland as tightly as we can. We have the crafts, the skills and the people who put their hearts into the previous project. It was nine months away from completion and the building was looking extraordinary. It would have been a wonderful place to be in in March. However, we can do the work again. The project will matter to Glasgow and to Scotland. On Annabelle Ewing’s point, the people who come in for the construction during the next rebuild will be a major part of some of our research projects. The work will involve people from City of Glasgow College, people on apprenticeships and so on. We want to use the construction as part of the learning process. Liz Davidson is right to say that there is no silver lining, apart from the fact that we have not been beaten by the fire at all. We are enthused again about making the best opportunity out of the disaster. What would you do differently? The managers at GSA have presided over two catastrophic fires on their watch. This is not personal, but why should anyone have confidence that another fire can be avoided in the future? With respect, it has happened not just once but twice. Thank you for giving me the opportunity to point out that the two incidents were entirely different. One was an accident in a fully operational building that took place in plain sight, and the Scottish Fire and Rescue Service report documented thoroughly that the evacuation followed exemplary procedures. Nothing has been redacted from that report, contrary to what one of the committee’s witnesses said. The only redaction was the name of the individual who was involved in the fire. The second incident was a fire in a non-operational building. It was on a construction site that was in the possession of Kier. In the intervening four years, the art school was managed perfectly well, competently and—I would say—rather magnificently, given what we were about to deliver back to Glasgow. That is why people should have confidence. I suppose that it depends on your definition of magnificence. There was a catastrophic fire that led to the end of the building as we know it. It is a question of definition. It is. We would certainly be very pleased to hear any proof—we are here to deal with facts—that the building was mismanaged. As I said, you were in post and had a duty as guardians of the fantastic building. Yes, we were guardians. Do you have any evidence of mismanagement? You were in post as guardians and there have been two catastrophic fires. In relation to future structures, that begs the question whether the best way forward would be to separate the Mack from the operational work of the Glasgow School of Art. That has been suggested, so maybe that should be considered. There are a number of options and they will all be considered. However, in defence of my management and the work of my board, which I have been overseeing for the past four years, I would say that it has been exemplary. There is no evidence to the contrary. From the point of view of the Glasgow School of Art’s staff, I second that statement. We have been through a period—from 15 June to 15 November—to address the development of the Glasgow School of Art, and we have confidence in the board. I would like to have that on the record. I am keen to make progress. Jamie Greene, have you finished your line of questioning? I am sorry—I thought that you had finished. I appreciate that we have gone off on a tangent slightly. It was a fair question from Ms Ewing but I would like to go back to my line of questioning about the future of the building. I had another line of questioning about community engagement, but—with the convener’s permission—I am happy to pass on that line of questioning to Sandra White, who is the local representative. In your initial response to my question about the future, Ms Gray, you said that there was unanimity on the part of the board and management about bringing back the building as a working art school, not just as a museum—indeed, there is not much left to be a museum; it is a ruin. You also talked about the next rebuild, but you were not specific about what the nature of that rebuild might be. One of the witnesses that we heard from said that this is probably one of the most well-documented buildings in the world now, architecturally speaking, as a result of the 2014 fire and subsequent evidence that was provided to help with the last rebuild. Do you think that we might see an attempt to try to rebuild the building as was being done before the 2018 fire, or is there any sympathy with the notion that there should be a working art school that is sympathetic to the work of Mackintosh but does not necessarily recreate what we were trying to recreate before the 2018 fire? After the 2014 disaster, we had a massive consultation because, of course, we are a creative institution and we wished to be creative. We consulted not just locally or nationally but internationally—out to Venice and to the States—to ask the architectural community and everybody else what they thought should happen. A lot of voices were saying that perhaps Mackintosh would have preferred us to build a brand-new building. We took that idea on board and we discussed it at great length. Every avenue led us back to the idea that we had to repair what had been damaged. We have not changed that view at all. We said that from the start, which allowed us to get on with the intense complexities of what we are dealing with just now. I would like to remind you that Mackintosh designed this building but he did not build it—other people built it. We have the original Mackintosh plans as he drew them so it will be a joy to rebuild it from scratch. It might not be from scratch; it is early days, and we might be able to retain some parts. That part of the planning is in its infancy. However, our intention is to bring it back exactly as Mackintosh designed it. That will be unique because over the years, all kinds of bits and pieces were added to the Mackintosh building so that it was no longer in its original state. Now we know exactly how Mackintosh designed it, what a thrill for the people involved and the community involved to do that from scratch. It is rather exciting. We envisage a Mackintosh building as he designed it. Good morning, and thank you for being here today. Obviously, we have to look to the future. However, as has been said before, the 2014 fire was an absolute tragedy; for it to be followed by another one in 2018 is absolutely unforgivable. You mentioned the fact that you had suffered from the fires. The people who live in that community have suffered terribly, not just in 2014 but even more so in 2018. Some of them are sitting in the public gallery. I have met them, along with other elected representatives. You talk about engaging with the community but that is not the message that I got from the local community. We have to understand that people have had to move out of their houses—they cannot get insurance—and businesses have closed down because they cannot operate. Thankfully, Glasgow City Council and the Scottish Government have put forward some money. I am really concerned about this attitude of talking about the “next rebuild” as though it is non-negotiable that it will be built. It seems that the board is saying that a new building will be built—it is non-negotiable. It will cost nearly £100 million and it will take 10 years. What about the local community, who are suffering just now? Will they be consulted? Do they want the building to be there or do they want it to be built somewhere else? I would like your thoughts on that. As far as I know from the people who have spoken to me in the meetings that I have had, the local community has not been consulted. However, it seems that it is in tablets of stone, if you will pardon the pun, that the new building will be built and that it will be built on that site. I want to know whether there are other thoughts with regard to how the local community feels about it. Thank you for bringing up the issue. We have recently been in close contact with the community, and we had a useful meeting at the council that involved residents and businesses. You are aware that we apologised for not having got out quickly enough to speak to people, but I think that they accepted our reasons for that. You are right that we will not move forward a single inch without consulting the community. I really want people to understand what you are saying. We are talking not just about buildings but about people’s health. Some people have gone bankrupt and lost businesses; they have lost everything. I cannot describe the suffering that some residents have experienced. We are massively sympathetic to that. I am an ex-Garnethill resident, and many of our staff and students are Garnethill residents. We are friends and those residents have always been part of our community. We are horrified by what is happening to them, and a major part of our strategy is to involve them. If they were not part of the plan, there would be no point in carrying on. We have all kinds of ideas for liaison and committees, for inviting in people, for using their skills and for asking their opinions. I am making the point that perhaps a number of people in the local community do not want the building to be rebuilt in the proposed way; they need to be asked about that. To follow up something that Annabelle Ewing raised, as Tom Inns and Professor Tony Jones have said, should a trust be established to oversee rebuilding, instead of the board being in charge? What are your thoughts on that idea? We are aware of those two opinions; they are minority views, but we will take them on board. As we said, decisions on how we move forward are in their infancy. We will look at every option. Our current view is that we are the best-placed people for the task—we are the experts and we can liaise with the local community. However, do not think for a minute that I have not taken on board everything that you have said—we are completely with you on that. I say yes—just yes. Can I tell members of the community who are sitting behind you that they will be consulted? There will be plenty of consultation. Will they be consulted on whether the building is rebuilt? I will not lie to you—we will consult people on how the work is done, but our remit is to rebuild the building. Public money will be used; it should not be only the board that decides what happens. Our public remit is to deliver education, which is up to the board and the management. Education could be delivered elsewhere, if that was what the community felt. We will discuss that, but the community will be consulted. I do not accept the fact that a body that is paid with public money is dictating to a whole community or anyone else. Should local residents have to give permission for the University of Glasgow’s campus development, for instance? The university has consulted local residents fairly thoroughly. We will do that, too. We need to move on. I will continue the conversation later. We are engaged, although I totally accept that people can never do enough community consultation. We worked with the local community on the bread oven in Garnethill park, which was entirely our project. Excuse me—the board is not remunerated. We are volunteers. I will speak to the board later; that is some statement. Muriel Gray referred to minority opinions. Professor Inns is a former director of the GSA, as is Professor Jones. They both expressed the view that the board should not be in charge of any rebuild. That might be a minority opinion, but it is certainly a significant one. Professor Inns made the point that the £100 million cost of the capital expenditure project is far in excess of your turnover, which is about £37 million a year. In Professor Inns’ view, having to take that on again will be detrimental to your work as an art school. Will you briefly comment on that? I completely respect the personal opinion of Professor Inns, which is his to express. However, I disagree. We know that, when we appoint a new director, they will be an exceptional person who can manage both projects via the proper delegation to the right experts. They will be in place to oversee that important work, as we successfully did after the 2014 fire. What we are looking for is a big ask, but we have no doubt whatsoever that we have the capability to do it. It is the role of every higher education institution to take care of its estate matters. That was the case in places where I worked before, and we all have to do that now. It is not just about delivering the education; we have to maintain the infrastructure as best we can. This is our response to that. Over and above that, the restoration is a research project, just as it was from 2014 until now. We have PhD students studying and doing work on it, and there is creative practice based on it. It is not a project that can be hived away somewhere else as if it were nothing to do with us and our educational function; it will be embedded in our future and we will learn from it. We will bring the craft teaching into our teaching programmes so that it is integrated. For that reason, the project itself is very interesting for the Glasgow School of Art and Glasgow, as well as nationally and internationally. How can the 2014 team be considered successful when the building burned down? I will explain that again. Those were two separate incidents. The building would not have been a construction site if it had not been for the first fire. Therefore, they are not separate. They are entirely separate. As you know, the SFRS report on the 2014 fire is explicit about what happened. I will go over it again. You do not need to go over it again. In that case, I will not. We know what the accident was in 2014 and none of us knows what happened in the June 2018 fire, apart from that it was on a construction site and it was entirely different to the 2014 fire. The efficacy of the management and the board in the intervening four years has been exemplary. I am glad that you acknowledged, in answer to Sandra White’s question, the devastation to residents and businesses. My view is that it will be a long time before the area recovers, so I hope that you appreciate that the decisions that you take will impact on Glasgow’s future. People in the public gallery are shaking their heads and expressing their disagreement with your view. I ask people in the gallery not to say anything to disrupt the meeting. We have this wonderful institution in Garnethill, as you say, but the fire has exposed your failure to involve the community over the past number of years. The future of the art school might not be the business of this committee, but, if you are going to spread the estate out to Sauchiehall Street, that is the business of local politicians. I hope that you will take the fact that I have to ask you these questions as an indication that you are still not properly informing the community of your plans. If you want to rebuild your relationship with the community, you really need to immediately start telling them what your plans are—that is my plea to you. I have some questions about the fire investigation, but can you first tell the committee which buildings you intend to spread out on to Sauchiehall Street to create a frontage? I have no idea yet. I agree with you 100 per cent that we cannot take forward that estate strategy without repairing the damage that some—not all, I might say—of the residents and businesses might feel has been done. If it happens at all—we are still discussing it—the estate strategy will be set out completely in partnership with Glasgow City Council and all the residents, businesses and other involved parties. You are right that we cannot move forward without communication and community and business involvement. Is it correct that you asked for retrospective planning permission for one of the buildings in Sauchiehall Street? I am not sure—I would have to check. That would be Breckenridge house. Sorry. That was about student decant; it was not about the future estate strategy. Sorry, but are you talking about the 2014 fire? Yes. We do not know much about the 2018 fire. Do you think that the fire investigation has been compromised by your decision to protect and rebuild the Mackintosh building? As a layperson, when I heard that, I thought, “How can we get to the bottom of what caused the fire if the fire investigation team has only just been granted access?” I have written to the fire service and have not had a reply yet. Why there was such a long delay? Are you not concerned that the delay means that we might not get to the bottom of what caused the fire in 2018? Massively. I agree with you. The Scottish Fire and Rescue Service has been hampered by straightforward building control regulations. It is about safety. We have spoken to residents and businesses at some length to try to explain that we were focused on getting the cordon lifted and shortened and getting them back into their homes and premises. You are right that there was a failure of communication. That was because we were working hard to try to get residents back into their houses. It is the most frustrating thing that I can think of. Last week, I met a few residents who asked me exactly the same thing. I do not know. We are desperate to find out the cause of the fire. We cannot interfere with the SFRS investigation, and I understand that Police Scotland still has about 70 interviews to do. It is a huge investigation, and there is nothing that we can do to speed it up. We have not hampered it. Just for clarification, the investigation has been on-going from day 1. 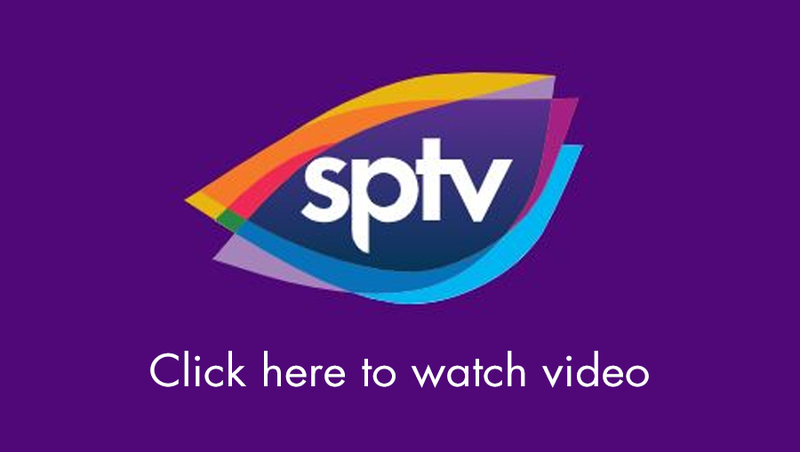 Police Scotland has been doing interviews and checking closed-circuit television footage—it has done everything that it could do outside the site. Police Scotland and the SFRS have been working hand in glove on that. Obviously, we are not privy to that. The SFRS would take access to the building only once it was safe to do so. That was its choice; we do not grant permission. The council’s building control has a role in that, too. The SFRS has its own health and safety guidelines, and it has to put health and safety ahead of everything else—not the school and not anyone else. I am not suggesting that it should not do that, but you decided to preserve and rebuild the Mackintosh. That is not what we were initially told; we were told something else. Obviously, that decision would delay the process. If you had demolished the building, for example, you would have got in right away. That was not an option, given that it was a grade A listed building. You are trying to preserve it—you have to be honest about that. If we had sent in a bulldozer and demolished and cleared the site, there would have been no evidence. The advice from our engineers and the contractors and from working with the council’s building control was that an uncontrolled demolition would have destroyed any evidence. That is because the building is on such a steep site, over two other commercial properties and Sauchiehall Street.That is why the cordon was as large as it was. As it is, the forensic teams have been able to make their way into the building little by little and pick out evidence. Police Scotland and the SFRS call the shots, and we are guided by them on how they wish to access the site. the dispute, which was widely known in the construction community before you appointed Kier. Gordon Gibb is entirely wrong on that and many other aspects. Liz Davidson will explain what we knew. At the time, I was handling the procurement, and I wrote the brief advert about the project for the building community. As the committee knows, Kier won the tender. Any serious negligence or something as critical as that would have come up in pre-qualification, and Kier would not have proceeded through the tender process. You are correct that a BBC report was published in 2015—I do not know what the exact date was. However, much as we all believe everything that is in the press, evidence about the situation did not come out until 2017—an inquiry was led by John Cole, who also looked at Edinburgh schools. When the evidence came out in 2017, we spoke to Kier about it. Kier was clear that a different division of its company was involved, although that might be just an issue of names—I do not know. However, more critical for us was the fact that DG One was under a design and build contract, whereas our project was under a standard Joint Contracts Tribunal contract, which meant that we had full supervision and oversight of the project as it went along. In a design and build contract, the contractor takes the risk but also the profit, if it arises, from delivering the project within a budget and a programme. Quality is not uppermost. That is a fine way of building a new-build gym hall on a new site, but it is not for a project such as the Mackintosh. We used a standard building contract. We had all those professionals in place because we had a standard contract, under which we certified and looked at the works before the contractors were paid. We had a daily process of collaborating on what Kier did. Kier ran a fine project. Were any of the professionals in your team who supervised Kier fire prevention experts? We had Atelier Ten, which was the fire engineering part of the team. I go back to my original point. After your FEDRA reports in 2006 and 2008, the building was not fire stopped and had no suppression system. For all the time until the 2014 fire, it was used to educate young people. You have said a number of times that you are confident that the building was safe. Do you stand by that? “• Likelihood ... for fire occurring in building – Medium – High risk. • Potential for fire to remain undetected – Medium – High risk. • Consequences in the event of fire spreading – High”. The two things that would have addressed those points—fire stopping and fire suppression—did not happen, so how can you sit here and insist that the building was safe? You put no measures in place in response to that report, which you commissioned. You tried to put in place fire suppression—we have talked through that—and you explained why you did not put in place fire stopping, but those two significant preventative measures were not taken, despite the assessment of risk that I have just read out. You still insist that the building was safe. Yes, it was deemed to be safe. It passed every regulatory test. We explained earlier about putting in the enhancement of the fire suppression system. But there was no fire suppression system in place at the time of either fire. You do not need to explain it again—you explained it before. I am just making the point that you are saying that the building was safe, but I just read from your report that, in six different areas, the building was high risk. If it had not been a safe building, we would not have been allowed by the laws of this land to put 500 students in it or let thousands of people run through it. Like any other historic building, it had issues, but, as good custodians, we were asking questions about them. It was probably one of the only institutions whose custodians were going to the extent of doing that and putting in measures such as CCTV, a low-pressure mist system and VESDA—very early smoke detection apparatus. But you did not put the low-pressure mist system in. We were putting it in. The Parliament decided in 2007 to build another crossing over the Forth but, if I had rolled up to it in 2008, I would have got wet. The system had to be built and designed, funds had to be raised and we had to get listed building consent. It was an extraordinarily bespoke system—it was not a kit of parts. The main part of the timeline was for raising funds, because there are no public funds for a £500,000 mist suppression system. In our case, we were putting more than £1 million-worth of mist suppression into that building. Yes, but it was your choice to pursue mist suppression. As others have said, you were also spending millions of pounds on extending your campus at that time. People find it difficult to understand that the building was left in that state at a time when you were spending £50 million on extending your campus; that, even after the 2014 fire, you embarked on further campus extension by purchasing the Stow building; and that, despite all the money being spent on extending the campus, the purpose of which is to increase the number of students and, therefore, your income, this building was left unprotected. I need to stop you there, convener. The extension of the campus is not to increase our income, because, as you know, our income in terms of the number of student places is pretty much set by the Scottish Government. It is increasing the number of international students that we can attract that provides extra income. We purchased Stow because of the decant of the fine arts students to the Tontine building. It was one of the best pieces of happenstance ever as it is the most beautiful building, and it has come into the Glasgow School of Art estate as the jewel in the crown. If anyone were to express surprise at our upgrading, enhancing and improving our estate for our core remit—the creative education of students in Scotland—that would make me raise my eyebrows. Why would that be a bad thing? We were doing that in conjunction with preserving, enhancing, improving and making safe the Mackintosh building. I see no dichotomy there. When the convener mentioned extending the estate, I think that she was possibly referring to the Reid building. At that point, I was head of the school of design, which occupied the Newbery tower and the Foulis building. They were deemed unfit for purpose and had to be replaced. The Reid building was not built as an extension to our campus as it was on the same site as the previous buildings. Okay, so the buildings were replaced. However, as I have just read out from your report, the Mackintosh was considered a high fire risk in a number of areas, and yet all that other activity was going on. That fire risk was not addressed. There might have been an intention to address it, but there was a 20-year period in which it was not addressed. It was addressed, because it became a major part of the agenda during the refurbishment prior to the 2014 fire. We discussed at great length applying for and raising funds to do just that. As Professor McAra-McWilliam has pointed out, it was not an expansion; we were merely taking down buildings that were no longer fit for purpose and replacing them with a state-of-the-art wonderful building for the future education of Scottish and international students. Brilliantly, that was funded by the Scottish funding council. Do you have any regrets about the decisions that you have made? Would you have done anything differently and do you take any responsibility? I take full responsibility at all times for what happens at the GSA—100 per cent. I have massive regrets that we have suffered two major disasters. I am more than regretful—it has broken my heart. We have audited ourselves in precisely the same way that this committee has rightly audited us. The committee has asked us no question that we have not asked ourselves 100 times. We keep asking ourselves, “Could we have done this better? Is there something we missed? Is there a lesson that we have learned from this that we could take forward?” We are very self-critical, which we will continue to be. I do not have any regrets about the process, but I have massive regrets that those things happened. In all conscience, I cannot say that I would have done anything differently. I do not know how Professor McAra-McWilliam feels. I feel exactly the same. The intention to fully couple the building with the educational system of the Glasgow School of Art remains the same as the original intent. It is what we have done for 100 years and what we will do for the next 100 years. That is our core purpose. I regret not having engaged more fully and sooner with the local community. That was a communications mistake—it was not intentional. The perception that the community had was valid; even if we did not intend it, it was valid if that was how they felt. Poor communication is the one thing that I regret. But do you not regret any of the decisions that were made before the fire? No. We have gone over and over that, and we will continue to do so. We are very self-examining. Okay. Thank you for coming to give evidence to the committee today. Thank you for the invitation. We really appreciate it. We will now move into private session. 11:21 Meeting continued in private until 11:33.